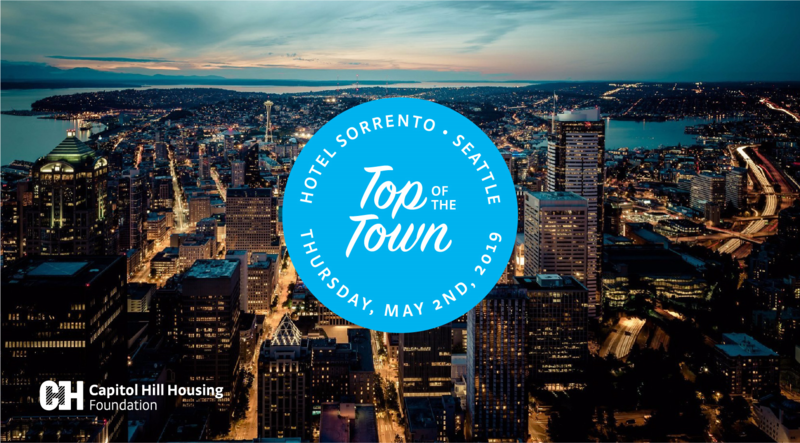 Top of the Town brings together community leaders, developers and peers who believe in creating an affordable and inclusive Seattle. Funds raised during the evening enable Capitol Hill Housing's work building and preserving safe and affordable homes for our neighbors throughout the city. Donations of $250 or more are greatly appreciated. A-P Hurd is the president of SkipStone, a consulting firm that provides real estate and planning services to private and public clients. She is the former president of Touchstone, a real estate development company that built nearly 3M SF of office, retail, hotel and residential space between 2007 and 2017 and won the national Developer of the Year award in 2016. A-P is also a faculty member and Runstad Fellow in the College of Built Environments at the University of Washington, where she teaches a course on land economics and public policy. She is on the Executive Committee of the Seattle Chamber Board and is also on the boards of the Pacific Real Estate Institute and of CityBldr, a tech company that uses big data to unlock opportunities for housing development. Halibut en papillote with parsnip mash and seasonal vegetables. Meyer Ranch Chateaubriand steak with truffle mash potatoes and honey roasted heirloom carrots. Ratatouille risotto cakes with asparagus, snap peas, and blistered tomatoes.